Have you heard about Umage? It’s a furniture company in Denmark built around the concept for which it is named. The Danish word “umage” translates as “effort” and is used to emphasize that the best things in life are produced by people willing to go the extra mile to create extraordinary experiences. 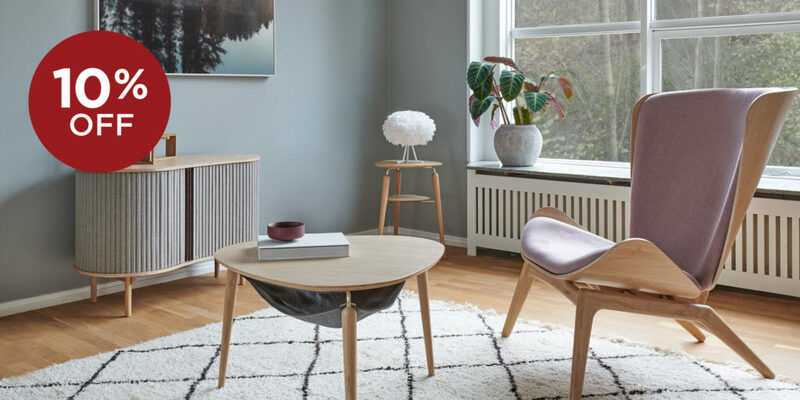 Forma Furniture is now your source for stylish and sophisticated chairs, tables, lighting, and more from this innovative company. Come in February 14 – March 3 to check out Umage and we’ll make it worth your effort with 10% off*! Sale Pricing Valid February 14 – March 3, 2019.